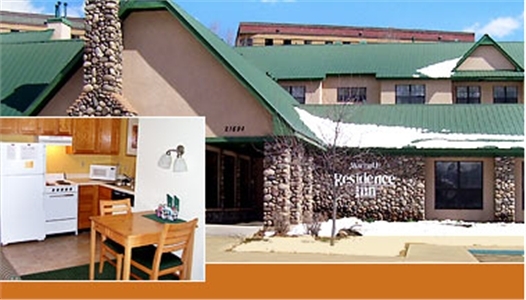 Located three blocks west of downtown Durango on Highway 160, the Marriott Residence Inn offers one and two bedroom suites with all the comforts of home. All units have fully equipped kitchens, and some include fireplaces. 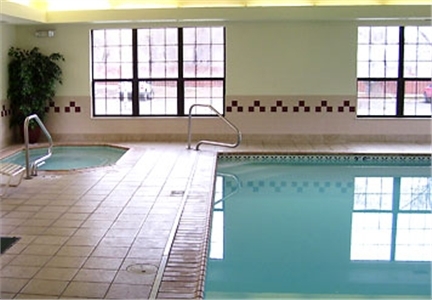 Amenities include an indoor swimming pool, Jacuzzi, exercise room, and sports-court. 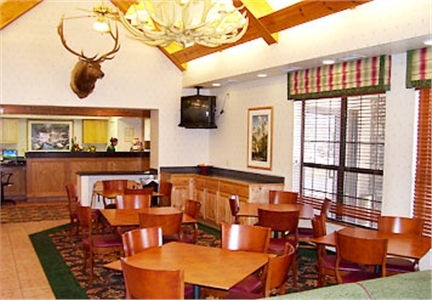 The Residence Inn also offers complimentary grocery shopping, a daily hot breakfast buffet, and a hospitality hour Monday through Wednesday (times vary) with complimentary soft drinks, beer, wine, and a light entree. Free high speed wireless now available. 1 bedroom suite has 1 king bed in private room, living area has full size pull out sofa bed and includes fully equipped kitchen. 1 king bed and twin size sofa pull out, fully equipped kitchen and living room. Only 4 blocks from the Durango and Silverton Railroad. Heading West on Hwy 160 from Durango the hotel is a short distance down on your right hand side. Cancellation	| Must notify by 3pm the day prior to arrival to receive full refund amount. Otherwise will be charged a fee of 1 night's stay. Pets	| Pets allowed as long as they do not exceed 35 pounds and require a $75.00 non-refundable cleaning fee. Other	| Cancellation - Must notify by 3pm the day prior to arrival to recieve full refund amount. Otherwise will be charged a fee of 1 night's stay.